Not to be confused with the 2005 young-adult book series Star Wars: The Last of the Jedi or the 2013 novel Star Wars: Coruscant Nights – The Last Jedi. "Episode VIII" redirects here. For other similarly known episodes, see Episode 8. Star Wars: The Last Jedi (also known as Star Wars: Episode VIII – The Last Jedi) is a 2017 American epic space-opera film written and directed by Rian Johnson. It is the second installment of the Star Wars sequel trilogy, following The Force Awakens (2015), and the eighth episode of the main Star Wars film franchise. It was produced by Lucasfilm and distributed by Walt Disney Studios Motion Pictures. The film's ensemble cast includes Mark Hamill, Carrie Fisher, Adam Driver, Daisy Ridley, John Boyega, Oscar Isaac, Andy Serkis, Lupita Nyong'o, Domhnall Gleeson, Anthony Daniels, Gwendoline Christie, and Frank Oz in returning roles, with Kelly Marie Tran, Laura Dern and Benicio del Toro joining the cast. It features the first posthumous film performance by Fisher, who died in December 2016, and the film is dedicated to her memory. The plot follows Rey as she receives Jedi training from Luke Skywalker, in hopes of turning the tide for the Resistance in the fight against Kylo Ren and the First Order, while General Leia Organa, Finn, and Poe Dameron attempt to escape a First Order attack on the dwindling Resistance fleet. The Last Jedi is part of a new trilogy of films announced after Disney's acquisition of Lucasfilm in October 2012. It was produced by Lucasfilm President Kathleen Kennedy and Ram Bergman, with The Force Awakens director J. J. Abrams as an executive producer. John Williams, composer for the previous films, returned to compose the score. A number of scenes were filmed at Skellig Michael in Ireland during pre-production in September 2015, but principal photography began at Pinewood Studios in England in February 2016, and wrapped in July 2016. Post-production was finished in September 2017. The Last Jedi had its world premiere at the Shrine Auditorium in Los Angeles on December 9, 2017, and was released in the United States on December 15, 2017. It grossed over $1.3 billion worldwide, becoming the highest-grossing film of 2017, the seventh-highest-ever grossing film in North America and the ninth-highest-grossing film of all time during its theatrical run. It is also the second-highest-grossing film of the Star Wars franchise, and turned a net profit of over $417 million. The film received positive reviews, with praise for its ensemble cast, musical score, visual effects, action sequences and emotional weight. The film received four nominations at the 90th Academy Awards, including Best Original Score and Best Visual Effects, as well two nominations at the 71st British Academy Film Awards. A sequel, titled The Rise of Skywalker, is scheduled for release on December 20, 2019. Following the destruction of Starkiller Base, General Leia Organa leads the flight of Resistance forces from D'Qar, when a First Order fleet arrives. Poe Dameron leads a costly counterattack that destroys a First Order dreadnought, and the remaining Resistance escapes into hyperspace. Rey, having traveled to Ahch-To with Chewbacca and R2-D2 aboard the Millennium Falcon, attempts to recruit Luke Skywalker to the Resistance. Disillusioned by his failure to train Kylo as a Jedi, and under self-imposed exile, Luke refuses to help and says that the Jedi should end. Meanwhile, the First Order uses a device to track the Resistance, and attacks them. Leia's son Kylo Ren hesitates to fire on the lead Resistance ship after sensing his mother's presence, but his wingmen destroy the bridge, killing most of the Resistance's leaders. Leia is sucked into space, but survives by using the Force. Encouraged by R2-D2, Luke decides to train Rey as a Jedi. Rey and Kylo begin communicating through the Force, puzzling them both. After Kylo tells Rey what happened between him and Luke that caused him to choose the dark side, Luke confesses that he momentarily contemplated killing Kylo upon sensing that Snoke was corrupting him; this prompted Kylo to destroy Luke's new Jedi Order. Convinced that Kylo can be redeemed, Rey leaves Ahch-To. Luke prepares to burn the Jedi library, but hesitates. Yoda's Force ghost appears and destroys the library by summoning a bolt of lightning, saying Rey has all she needs to learn, and encouraging Luke to learn from his failure. Meanwhile, Poe entrusts Finn, mechanic Rose Tico, and BB-8 with a secret mission to find someone who can disable the First Order's tracking device, which Maz Kanata says they can find on Canto Bight. They meet the hacker DJ, and escape the city with the help of some stablehand children and riding animals they set free. Finn and Rose infiltrate Snoke's ship—as Rey also arrives—but are captured by Captain Phasma. Kylo brings Rey to Snoke, who says he facilitated the connection between her and Kylo as part of a plan to destroy Luke. Meanwhile, new Resistance leader Vice Admiral Holdo reveals her plan to evacuate the remaining Resistance members using small transports. Believing her actions to be cowardly and futile, Poe leads a mutiny. Leia recovers and stuns Poe, allowing the evacuation to begin. Holdo remains on the ship to mislead Snoke's fleet as the others flee to an abandoned base on Crait. In a bargain for his freedom, DJ reveals the Resistance's plan to the First Order, and the evacuation transports are slowly destroyed. Ordered to kill Rey, Kylo instead kills Snoke and defeats his guards alongside Rey. Rey hopes that Kylo has returned to the light side, but he instead asks her to rule the galaxy with him. Refusing, she and Kylo each use the Force to try to take Anakin Skywalker's lightsaber, splitting it in two. Holdo sacrifices herself by ramming into Snoke's flagship at lightspeed, crippling it. Rey escapes in the chaos, while Kylo declares himself Supreme Leader. BB-8 frees Finn and Rose; they defeat Phasma and join the survivors on Crait. When the First Order arrives, Poe, Finn, and Rose attack with old speeders. Rey and Chewbacca draw TIE fighters away in the Falcon, while Rose stops Finn from completing a suicide run against the enemy siege cannon, which subsequently penetrates the Resistance fortress. Luke appears and confronts the First Order to enable the surviving Resistance to escape. Kylo orders the First Order's forces to fire on Luke, to no effect. He then engages Luke in a lightsaber duel; upon striking Luke, Kylo realizes he has been fighting a Force projection. Rey helps the remaining Resistance escape on the Falcon. Luke, exhausted, dies peacefully on Ahch-To, becoming one with the Force. Rey and Leia sense his death, and Leia tells her that the Resistance has all it needs to rise again. At Canto Bight, one of the stablehand children moves a broom with the Force and gazes into space. Star Wars: The Last Jedi features (from top) Mark Hamill and Carrie Fisher, and introduces Laura Dern and Benicio del Toro. Mark Hamill as Luke Skywalker, a powerful Jedi Master who has been in self-imposed exile on the planet Ahch-To. Hamill voices Dobbu Scay, named after the film's editor, Bob Ducsay. On Canto Bight, the character mistakes BB-8 for a slot machine. Carrie Fisher as General Leia Organa, twin sister to Luke, former princess of Alderaan, and a leading general in the Resistance. Adam Driver as Kylo Ren, Supreme Leader Snoke's disciple, who is strong with the Force and leader to the Knights of Ren. He is the son of Han Solo and Leia Organa, nephew of Luke Skywalker, and the grandson of Anakin. Daisy Ridley as Rey, a highly Force-sensitive scavenger from the desert planet Jakku who joined the Resistance and goes to find Luke Skywalker. John Boyega as Finn, a former stormtrooper of the First Order who defected to the Resistance. Oscar Isaac as Poe Dameron, a high-ranking X-wing fighter pilot in the Resistance. Andy Serkis as Supreme Leader Snoke, the leader of the First Order and Kylo Ren's master. Lupita Nyong'o as Maz Kanata, a pirate and ally of the Resistance. Domhnall Gleeson as General Hux, the former head of the First Order's Starkiller Base. Anthony Daniels as C-3PO, a humanoid protocol droid in the service of Leia Organa. Gwendoline Christie as Captain Phasma, the commander of the First Order's stormtroopers. Kelly Marie Tran as Rose Tico, a member of the Resistance who at the beginning works in maintenance. Laura Dern as Vice Admiral Amilyn Holdo, an officer in the Resistance. Frank Oz as Yoda, the deceased former Grand Master of the Jedi, and Luke's wise former mentor, who appears as a Force-ghost. Benicio del Toro as DJ, an underworld codebreaker. Joonas Suotamo appears as Chewbacca, taking over the role from Peter Mayhew after previously serving as his body double in The Force Awakens. Mayhew, who was 73 years old and suffering from chronic knee and back pain, is credited as "Chewbacca consultant". Billie Lourd, Mike Quinn, and Timothy D. Rose reprise their roles as Lieutenant Connix, Nien Nunb, and Admiral Ackbar respectively. Due to the death of Erik Bauersfeld, Admiral Ackbar is now voiced by Tom Kane. Amanda Lawrence appears as Commander D'Acy, and Mark Lewis Jones and Adrian Edmondson play Captains Canady and Peavey respectively. BB-8 is controlled by puppeteers Dave Chapman and Brian Herring, with initial voice work by Ben Schwartz and final sound effects voiced by Bill Hader modulated through a synthesizer. Jimmy Vee portrays R2-D2, taking over the role from Kenny Baker, who died on August 13, 2016. Veronica Ngo portrays Rose's sister Paige Tico, a Resistance gunner who sacrifices her life to destroy a First Order dreadnought. Justin Theroux plays the master codebreaker. Lily Cole plays his companion. Joseph Gordon-Levitt has a voice cameo as Slowen Lo. Warwick Davis plays Wodibin. Gareth Edwards, director of the Star Wars Anthology film Rogue One, has a cameo appearance as a Resistance Soldier, as does Gary Barlow. Edgar Wright and Joe Cornish also cameo in the film. Hermione Corfield appears as Tallissan "Tallie" Lintra, a Resistance A-Wing pilot and squadron leader. Noah Segan and Jamie Christopher appear as Resistance pilots Starck and Tubbs. Hamill's children, Griffin, Nathan, and Chelsea, cameo as Resistance soldiers. Prince William, Duke of Cambridge and Prince Harry filmed cameo appearances as stormtroopers. Tom Hardy also filmed an appearance as a stormtrooper, but his cameo was dropped from the final cut. Hugh Skinner cameos as a Resistance Officer. I'm just starting into it, but so far, honestly, it's the most fun I've ever had writing. It's just joyous. But also for me personally, I grew up not just watching those movies but playing with those toys, so as a little kid, the first movies I was making in my head were set in this world. A big part of it is that direct connection, almost like an automatic jacking back into childhood in a weird way. But I don't know, ask me again in a few years and we'll be able to talk about that. The story begins immediately after the last scene of The Force Awakens. Johnson had his story group watch films such as Twelve O'Clock High, The Bridge on the River Kwai, Gunga Din, Three Outlaw Samurai, Sahara, and Letter Never Sent for inspiration while developing ideas. He felt it was difficult to work on the film while The Force Awakens was being finished. In December 2015, Lucasfilm president Kathleen Kennedy said, "we haven't mapped out every single detail [of the sequel trilogy] yet", and that Abrams was collaborating with Johnson and that Johnson would in turn work with (then) Episode IX director Colin Trevorrow to ensure a smooth transition. Abrams is an executive producer along with Jason McGatlin and Tom Karnowski. Lucasfilm announced the film's title, Star Wars: The Last Jedi, on January 23, 2017. During production, Hamill expressed disagreement with the direction his character was taken, finding the character's more disillusioned status to be contradictory to his previous optimism. Hamill later said that he regretted making his initial misgivings public and compared his disagreements to clashes he had with George Lucas during the filming of Return of the Jedi. In September 2015, Disney shortlisted the female cast members to Gina Rodriguez, Tatiana Maslany, and Olivia Cooke. Later that month, Benicio del Toro confirmed that he would play a villain in the film, and Mark Hamill was also confirmed. In October 2015, Gugu Mbatha-Raw was rumored to have been cast in the film. In November, Jimmy Vee was cast as R2-D2. In November, Kennedy announced at the London premiere of The Force Awakens that the entire cast would return for Episode VIII, along with "a handful" of new cast members. In February 2016, at the start of filming, it was confirmed that Laura Dern and Kelly Marie Tran had been cast in unspecified roles. In April 2017, at Star Wars Celebration Orlando, Lucasfilm announced that Tran plays Resistance maintenance worker Rose Tico, which Johnson described as the film's largest new role. To keep Frank Oz's return as Yoda a secret, producers excluded Oz's name in the billing for the film's pre-release marketing and ensured that Oz stayed on set during filming. Some filming locations: The island of Skellig Michael in Ireland (top), Salar de Uyuni, a salt flat in Bolivia (middle), and the city of Dubrovnik, in Croatia (bottom). Second unit photography began during pre-production at Skellig Michael in Ireland on September 14, 2015, due to the difficulties of filming at that location during other seasons. It would have lasted four days, but filming was canceled for the first day due to poor weather and rough conditions. In November 2014, Ivan Dunleavy, chief executive of Pinewood Studios, confirmed that the film would be shot at Pinewood, with additional filming in Mexico. In September 2015, del Toro revealed that principal photography would begin in March 2016; Kennedy later said filming would begin in January 2016. The production began work on the 007 Stage at Pinewood Studios on November 15, 2015. Rick Heinrichs served as production designer. In January 2016, production of Episode VIII was delayed until February due to script rewrites. Filming was in danger of being delayed further due to an upcoming strike between the Producers Alliance for Cinema and Television and the Broadcasting, Entertainment, Cinematograph and Theatre Union. On February 10, 2016, Disney CEO Bob Iger confirmed that principal photography had begun under the working title Space Bear. Additional filming took place in Dubrovnik, Croatia from March 9 to 16, as well as in Ireland in May. Malin Head in County Donegal and a mountain headland, Ceann Sibeal in County Kerry, served as additional filming locations. To increase the scenes' intimacy Driver and Ridley were both present when filming Kylo and Rey's Force visions. 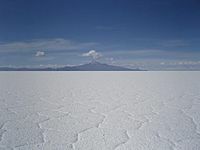 Location filming for the battle scenes on the planet Crait took place in July at the Salar de Uyuni salt flats in Bolivia. Principal photography wrapped on July 22, 2016, though as of early September, Nyong'o had not filmed her scenes. In February 2017, it was announced that sequences from the film were shot in IMAX. Production designer Rick Heinrichs said the original screenplay called for 160 sets, double what might be expected, but that Johnson did some "trimming and cutting". Ultimately 125 sets were created on 14 sound stages at Pinewood Studios. According to creature designer Neal Scanlan, The Last Jedi uses more practical effects than any Star Wars film, with 180 to 200 creatures created with practical effects, some cut from the final edit. For Yoda's appearance in the film as a Force ghost, the character was created using puppetry, as was done in the original Star Wars trilogy (as opposed to computer-generated imagery, which was used to create Yoda in most of the prequel trilogy). The film's Canto Bight sequence contains a reference to the 1985 Terry Gilliam film Brazil, in which Finn and Rose are arrested for committing parking violation 27B/6. In July 2013, Kennedy announced at Star Wars Celebration Europe that John Williams would return to score the Star Wars sequel trilogy. Williams confirmed his assignment for The Last Jedi at a Tanglewood concert in August 2016, stating he would begin recording the score "off and on" in December 2016 until March or April 2017. On February 21, 2017, it was confirmed that recording was underway, with both Williams and William Ross conducting the sessions. In lieu of a traditional spotting session with Johnson, Williams was provided a temp track of music from his previous film scores as a reference for scoring The Last Jedi. The score briefly quotes "Aquarela do Brasil" by Ary Barroso in its "Canto Bight" track as another reference to the film Brazil. It also contains a brief quote of Williams performing his own theme for The Long Goodbye (co-composed by Johnny Mercer) during Finn and Rose's escape, but this is not in the official soundtrack release. The official soundtrack album was released by Walt Disney Records on December 15, 2017 in digipak CD, digital formats, and streaming services. In January 2015, Disney CEO Bob Iger stated that Episode VIII would be released in 2017, and in March, Lucasfilm announced a release date of May 26, 2017. In January 2016, The Last Jedi was rescheduled for December 15, 2017 in 3D and IMAX 3D. On January 23, 2017, the film's title was announced as Star Wars: The Last Jedi. Similarly to The Empire Strikes Back, Return of the Jedi and The Force Awakens, "Episode VIII" was included in the film's opening crawl, although not in its official title. The Last Jedi had its world premiere at the Shrine Auditorium in Los Angeles on December 9, 2017. The European premiere was held at the Royal Albert Hall in London on December 12, 2017, with a red carpet event. It was reported that Disney had placed notable conditions on U.S. cinemas screening The Last Jedi, which some operators described as onerous. Disney required that the film be screened in a cinema's largest auditorium for a four-week period (other Disney releases have had similar clauses, but only for two weeks), and was given a 65% cut of ticket sales (a percentage higher than the 55–60% average of other major films, and cited as the highest split ever demanded by a Hollywood film behind the 64% split of The Force Awakens). The agreement, which was required to be kept confidential, also contained regulations on promotions and restrictions on removing any scheduled screening. Violations were to be penalized with an additional 5% cut of ticket sales. Because of this, some cinemas declined to screen the film, particularly smaller or one-screen cinemas that would otherwise be barred from screening any other film during the commitment period. Industry representatives considered this policy reasonable, citing the performance of Disney releases and the Star Wars franchise, and that the guaranteed business attracted by the film, and concession sales, would make up for the larger cut of ticket sales. A set of eight promotional postage stamps were released on October 12, 2017, in the UK by the Royal Mail with artwork by Malcolm Tween. On September 19, 2017, Australia Post released a set of stamp packs. Tie-in promotional campaigns were done with Nissan Motors and Bell Media, among others. Two main trailers were released, followed by numerous television spots. Figurines of many of the characters were released in October, and advance tickets for Last Jedi went on sale in October. Several tie-in books were released on the same day of the North American release of the movie, including The Last Jedi: Visual Dictionary, and various children's reading and activity books. Related novelizations included the prequel book Cobalt Squadron, and the Canto Bight, a collection of novellas about the Canto Bight Casino. As with The Force Awakens, there is no official tie-in game for The Last Jedi, in favor of integrating content from the film into other Star Wars video games, including Star Wars Battlefront II, which introduced various content from the film, during the second week of the game's first "season". An update to the MOBA mobile game Star Wars: Force Arena added new content from the sequel era, including some characters as they appeared in The Last Jedi. Characters from the film also appeared in the mobile RPG Star Wars: Galaxy of Heroes. Walt Disney Studios Home Entertainment released Star Wars: The Last Jedi digitally in HD and 4K via digital download and Movies Anywhere on March 13, 2018, with an Ultra HD Blu-ray, Blu-ray, and DVD physical release on March 27. It was the first Star Wars film to be released on the Ultra HD Blu-ray format. The official novelization is by Jason Fry, with an audiobook version narrated by Marc Thompson. There is a "junior novel" by Michael Kogge (2018 Lucasfilm Press), and an audiobook version narrated by Jessica Almasy. Star Wars: The Last Jedi grossed $620.2 million in the United States and Canada, and $712.6 million in other territories, for a worldwide total of $1.333 billion. It had a worldwide opening of $450.8 million, the seventh-biggest of all time, including $40.6 million that was attributed to IMAX screenings, the second biggest for IMAX. It was estimated that the film would need to gross $800 million worldwide to break even; Deadline Hollywood calculated the net profit of the film to be $417.5 million, when factoring together all expenses and revenues, making it the most profitable release of 2017. On December 31, 2017, its 17th day of release, it passed the $1 billion threshold, becoming the fourth film of 2017, the fifteenth Disney film, the fourth Star Wars film and the thirty-second film overall to pass the mark. The film was the highest-grossing film of 2017, the second highest-grossing film in the franchise (behind The Force Awakens), the fourth highest-grossing film released by Walt Disney Studios, the sixth highest-grossing film in North America and the ninth-highest-grossing film of all time. Pre-sale tickets went on sale in the United States on October 9, 2017, and as with The Force Awakens and Rogue One, ticket service sites such as Fandango had their servers crash due to heavy traffic and demand. In the United States and Canada, industry tracking had The Last Jedi grossing around $200 million from 4,232 theaters in its opening weekend. The film made $45 million from Thursday night previews, the second-highest amount ever (behind The Force Awakens' $57 million). It went on to make $104.8 million on its first day (including previews) and $220 million over the weekend, both the second-highest amounts of all time. The opening weekend figure included an IMAX opening-weekend of $25 million, the biggest IMAX opening of the year and the second biggest ever behind The Force Awakens. After dropping by 76% on its second Friday, the worst Friday-to-Friday drop in the series, the film fell by a total of 67.5% in its second weekend, grossing $71.6 million. It was the largest second-weekend drop of the franchise, although it remained atop the box office. The three day total was the 14th biggest second weekend of all time. It grossed an additional $27.5 million on Christmas Day, the second biggest Christmas Day gross of all time behind The Force Awakens ($49.3 million), for a four-day weekend total of $99 million. It made $52.4 million in its third weekend, again topping the box office. It also brought its domestic total to $517.1 million, overtaking fellow Disney vehicle Beauty and the Beast as the highest of 2017. It was the sixth biggest third weekend of all time. It had the seventh biggest New Year's Day gross of all time with $14.3 million, bringing the four day total to $66.8 million. It grossed $23.7 million and was surpassed the following weekend by Jumanji: Welcome to the Jungle (which was in its third week) and Insidious: The Last Key. In its first two days of release the film made $60.8 million from 48 markets. The top countries were the United Kingdom ($10.2 million), Germany ($6.1 million), France ($6 million), Australia ($5.6 million) and Brazil ($2.5 million). By the end of the weekend, the film made $230.8 million outside the US and Canada, the ninth-highest of all time. This included $36.7 million in the UK (third-highest), $23.6 million in Germany (second-highest), $18.1 million in France, $15.9 million in Australia (second-highest), $14.4 million in Japan, $8.5 million in Russia, $8.3 million in Spain, $7.2 million in Brazil, $7 million in Italy and Mexico, $6.0 million in Sweden and $5.1 million in South Korea. On its second weekend, it grossed $76.1 million overseas and became the fourth-highest-grossing film of the year in Europe. As of January 21, the largest markets outside of the United States and Canada are the United Kingdom ($109.3 million), Germany ($79.8 million), France ($63.5 million), Japan ($60.8 million) and Australia ($43.5 million). The film had a $28.7 million opening weekend in China, the lowest for a Star Wars film in that country since 2005. Star Wars: The Force Awakens opened to $52 million two years prior and Rogue One, which featured Chinese stars Donnie Yen and Jiang Wen, opened to $30 million in 2016. The Last Jedi added only $7 million during the week, to reach a total of $34.2 million in its first seven days. A week after its debut, China's movie exhibitors dropped the film's showtimes by 92 percent, from its 34.5% percent share of the territory's total screenings. The film grossed $910,000 in its third weekend, dropping to ninth place at the Chinese box office, overshadowed by new releases including Bollywood film Secret Superstar, Hollywood films Ferdinand and Wonder, and Chinese film A Better Tomorrow 2018. The Last Jedi grossed $41 million in China, as of January 21, 2018. According to the review aggregator website Rotten Tomatoes, 91% of critics have given the film a positive review based on 431 reviews, with an average rating of 8.09/10. The website's critics consensus reads, "Star Wars: The Last Jedi honors the saga's rich legacy while adding some surprising twists — and delivering all the emotion-rich action fans could hope for." At Metacritic, the film has a weighted average score of 85 out of 100 based on 56 critics, indicating "universal acclaim". Matt Zoller Seitz of RogerEbert.com gave the film four out of four stars, praising the surprises and risks that it took, writing that "The movie works equally well as an earnest adventure full of passionate heroes and villains and a meditation on sequels and franchise properties ... [The film] is preoccupied with questions of legacy, legitimacy and succession, and includes multiple debates over whether one should replicate or reject the stories and symbols of the past." Writing for Rolling Stone, Peter Travers gave the film 3.5 out of 4 stars, praising the cast and the direction: "You're in hyper-skilled hands with Johnson who makes sure you leave the multiplex feeling euphoric. The middle part of the current trilogy, The Last Jedi ranks with the very best Star Wars epics (even the pinnacle that is The Empire Strikes Back) by pointing the way ahead to a next generation of skywalkers – and, thrillingly, to a new hope." 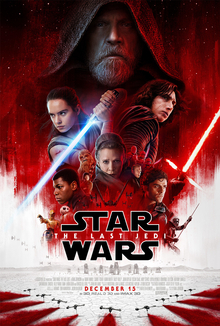 Richard Roeper of the Chicago Sun-Times gave the film 3.5/4 stars, saying, "Star Wars: The Last Jedi ... doesn't pack quite the same emotional punch [as The Force Awakens] and it lags a bit in the second half, [but] this is still a worthy chapter in the Star Wars franchise, popping with exciting action sequences, sprinkled with good humor and containing more than a few nifty 'callbacks' to previous characters and iconic moments." For The Hollywood Reporter, Todd McCarthy said, "Loaded with action and satisfying in the ways its loyal audience wants it to be, writer-director Rian Johnson's plunge into George Lucas' universe is generally pleasing even as it sometimes strains to find useful and/or interesting things for some of its characters to do." Will Gompertz, arts editor of BBC News, gave the film 4/5 stars, writing "Rian Johnson ... has not ruined your Christmas with a turkey. His gift to you is a cracker, a blockbuster movie packed with invention, wit, and action galore." Mark Kermode, British film critic, gave the film 4/5 stars saying Johnson "proves himself the master of the balancing act, keeping the warring forces of this intergalactic franchise in near-perfect harmony." The unpredictability of the plot was appreciated by reviewers such as Alex Leadbeater of Screen Rant, who commented specifically that the death of Snoke was "the best movie twist in years". Creator of the franchise George Lucas, who wasn't involved with the film's production, described The Last Jedi as "beautifully made" shortly after its release. His reaction to Star Wars: The Force Awakens was generally more negative. Conversely, Richard Brody of The New Yorker wrote, "Despite a few stunning decorative touches (most of which involve the color red) and that brief central sequence of multiple Reys, the movie comes off as a work that's ironed out, flattened down, appallingly purified. Above all, it delivers a terrifyingly calculated consensus storytelling, an artificial universality that is achieved, in part, through express religious references." Kate Taylor of The Globe and Mail gave the film 2/4 stars, saying the film suffered from too many new additions and writing, "Nifty new animals, a maturing villain, a flagging heroine, muffled humour – as it seeks to uphold a giant cultural legacy, this unfolding trilogy struggles to maintain a balance that often seems just out of reach." Owen Gleiberman of Variety criticized the film for being too derivative of the past movies by saying that "it's now repeating things that have already been repeated. The rebels-up-against-it plot, with our heroes worn down to the nub of their fighting spirit, feels like a rehash of what we went through a year ago in Rogue One, and the attempts to echo the look and mood and darkening design of 'The Empire Strikes Back' now make clear that the new trilogy is an official monument to nostalgia." Audience reception measured by scientific polling methods was highly positive. Audiences randomly polled by CinemaScore on opening day gave the film an average grade of "A" on an A+ to F scale. Surveys from SurveyMonkey and comScore's PostTrak found that 89% of audience members graded the film positively, including a rare five-star rating. User-generated scores at Rotten Tomatoes and Metacritic were more negative. At Rotten Tomatoes, 44% of users have rated the film 3.5 stars or higher based on 208,678 user ratings. At Metacritic, the average user score is 4.4 out of 10 based on 7878 ratings, indicating "mixed or average reviews". Several reviewers speculated that coordinated vote brigading from internet groups and bots contributed to the low scores. Audience scores found on sites like Rotten Tomatoes and Metacritic require only registration and do not ensure that contributing voters have seen the film. Quartz noted that some new accounts gave negative ratings to both The Last Jedi and Thor: Ragnarok, while Bleeding Cool stated that reviews for the latter film had tapered off but then "skyrocketed". In response to tampering claims, Rotten Tomatoes released a statement that they detected no unusual activity on The Last Jedi aside from a noticeable "uptick in the number of written user reviews". In 2019, a Rotten Tomatoes spokesperson stated that the film had been "seriously targeted" with a review-bombing campaign. Reviewers characterized The Last Jedi as divisive among audiences. Todd VanDerWerff of Vox found that dissatisfied fans saw the film as too progressive, disliked its humor, plot, or character arcs, or felt betrayed that it ignored fan theories. Other reviewers made similar observations. Particularly divisive was the reveal that Rey's parents are insignificant; many fans had expected her to be Luke's daughter or to share a lineage with another character from the original trilogy. There was also sentiment that Snoke's character was underdeveloped and that Luke's actions contradicted his previous heroic portrayal. Reviewers stated that fan theories were held so strongly among some viewers that it was difficult for them to accept different stories, but that other viewers appreciated the film's action, tone, and deviation from Star Wars tradition. Star Wars: The Rise of Skywalker, the final installment of the sequel trilogy, is scheduled for release on December 20, 2019. Principal photography began on August 1, 2018. Colin Trevorrow was expected to direct the film, but on September 5, 2017, Lucasfilm announced that he had stepped down. A week later, Lucasfilm announced that J. J. Abrams would return to direct The Rise of Skywalker and co-write it with Chris Terrio. ^ "Star Wars: The Last Jedi". British Board of Film Classification. Retrieved November 28, 2017. ^ a b D'Alessandro, Anthony (March 28, 2018). "No. 1 'Star Wars: The Last Jedi' Box Office Profits – 2017 Most Valuable Blockbuster Tournament". Deadline Hollywood. Retrieved March 28, 2018. ^ "2017 Feature Film Study" (PDF). FilmL.A. August 2018: 24. Retrieved August 9, 2018. ^ a b "Star Wars: The Last Jedi (2017)". Box Office Mojo. Retrieved April 30, 2018. ^ "Star Wars: The Last Jedi Reviews: Critics Say Episode VIII Is Hugely Satisfying". Rotten Tomatoes. Retrieved December 13, 2017. ^ Spiegel, Josh (December 12, 2017). "Star Wars: The Last Jedi Review". /Film. Retrieved October 3, 2018. ^ Seitz, Matt Zoller (December 15, 2017). "Star Wars: The Last Jedi Movie Review (2017) | Roger Ebert". rogerebert.com. Retrieved October 3, 2018. ^ Adams, Sam (December 12, 2017). "The Last Jedi Brings Fresh Ideas Not Just to Star Wars but to the Whole Universe of Movies". Slate. Retrieved October 3, 2018. ^ a b Parker, Ryan (September 12, 2017). "J.J. Abrams to Replace Colin Trevorrow as 'Star Wars: Episode IX' Writer and Director". The Hollywood Reporter. Retrieved September 12, 2017. ^ a b O'Sullivan, Majella (September 15, 2015). "Bad weather halts Star Wars filming on Skellig Michael". Irish Examiner. Retrieved September 16, 2015. ^ a b c d e f g h i j k l m Ruby, Jennifer (December 17, 2015). "Star Wars producer Kathleen Kennedy confirms that entire cast will return for eighth film". London Evening Standard. Retrieved December 17, 2015. ^ Breznican, Anthony (December 17, 2017). "The Last Jedi spoiler talk: Mark Hamill plays a secret second role – and other Easter eggs". Entertainment Weekly. ^ Robinson, Joanna (December 17, 2017). "32 Delightful Star Wars: The Last Jedi Cameos You Might Have Missed". Vanity Fair. ^ @pablohidalgo (December 17, 2017). "I'll just say this – he's listed in the credits as the second role someone very prominent in the cast plays. :)" (Tweet) – via Twitter. ^ a b Siegel, Lucas (December 14, 2015). "Two More Actors Confirmed to Return for Star Wars Episode VIII". ComicBook.com. Retrieved December 14, 2015. ^ "Oscar Isaac Talks 'Star Wars: The Force Awakens' and Going After X-Men's Apocalypse (EXCLUSIVE)". Moviefone. March 19, 2015. Archived from the original on May 7, 2015. Retrieved May 12, 2015. ^ Chitwood, Adam; Cabin, Chris (December 4, 2015). "This 'Star Wars: The Force Awakens' Character Will Be Back For 'Episode VIII'". Collider. Retrieved December 5, 2015. ^ a b Yee, Lawrence (April 14, 2017). "Meet Rose, the 'Biggest New Part' in 'Star Wars: The Last Jedi'". Variety. Retrieved April 14, 2017. ^ a b "See the Cast of Star Wars: The Last Jedi on Four Exclusive Vanity Fair Covers". Vanity Fair. May 23, 2017. Retrieved May 23, 2017. ^ a b Kamp, David (May 24, 2017). "Cover Story: Star Wars: The Last Jedi, the Definitive Preview". Vanity Fair. Retrieved May 24, 2017. ^ a b "Star Wars: Episode VIII Now Filming". StarWars.com. February 15, 2016. Retrieved February 15, 2016. ^ a b Breznican, Anthony (December 16, 2017). "The Last Jedi spoiler talk: How an old-school Star Wars character made a surprising return". Entertainment Weekly. Retrieved December 17, 2017. ^ Spry, Jeff (February 22, 2017). "New Chewbacca actor delivers touching letter as Peter Mayhew retires". Syfy. Retrieved December 16, 2017. ^ Valverde, Michael (February 6, 2016). "Nien Nunb Will Return For Star Wars: Episode VIII". Dork Side of the Force. Retrieved February 6, 2016. ^ Topel, Fred (March 13, 2016). "Billie Lourd Will Return with a Larger Role In 'Star Wars Episode 8'". /Film. Retrieved March 14, 2016. ^ Collura, Scott (December 18, 2017). "How Star Wars: The Last Jedi made Carrie Fisher immortal". IGN. Retrieved December 19, 2017. ^ Brooks, Dan (August 26, 2015). "Droid Dreams: How Neal Scanlan and the Star Wars: the Force Awakens Team Brought BB-8 to Life". Starwars.com. ^ Chitwood, Adam (November 17, 2016). "Watch Ben Schwartz Provide the Voice of BB-8 in New 'Star Wars: The Force Awakens' Featurette". Collider.com. ^ a b McEwan, Cameron (November 16, 2015). "Doctor Who actor Jimmy Vee is the new R2-D2 in Star Wars Episode 8". Metro.co.uk. Retrieved December 29, 2015. ^ McNary, Dave (February 14, 2017). "'Star Wars': R2-D2 Role to Be Filled by Jimmy Vee in 'The Last Jedi'". Variety. Retrieved February 15, 2017. ^ "Solo takes Star Wars' fixation on self-sacrifice in a cavalier new direction". The Verge. Retrieved October 24, 2018. ^ Clark, Jansen (June 8, 2017). "'Star Wars: Episode 8' Trailer Rumor: Another Mystery Character to Appear and More". Inquisitr. Retrieved June 9, 2017. ^ Pearson, Ben (September 11, 2017). "Joseph Gordon-Levitt Has a Cameo in 'Star Wars: The Last Jedi'". /Film. Retrieved September 27, 2017. ^ Chung, Frank (September 30, 2016). "Warwick Davis on Star Wars: Episode VIII 'cliffhanger', possible Willow sequel". News.com.au. Retrieved October 1, 2016. ^ a b c d e Breznican, Anthony (July 17, 2016). "Star Wars Celebration: Updates on Episode VIII and young Han Solo movie". Entertainment Weekly. Retrieved July 18, 2016. ^ Fullerton, Huw (March 27, 2017). "Gary Barlow confirms secret Star Wars cameo". Radio Times. Retrieved April 17, 2017. ^ Nobile, Phil (April 19, 2016). "Who Is Noah Segan Playing in STAR WARS?". Birth.Movies.Death. Retrieved December 15, 2016. ^ Wiseman, Andreas (August 21, 2017). "John Boyega confirms royal cameos in 'Star Wars'". ScreenDaily.com. Retrieved October 3, 2018. ^ "Tom Hardy's deleted Last Jedi cameo will be included on the Blu-Ray release". The Telegraph. December 22, 2017. Retrieved December 25, 2017. ^ Hogan, Michael (July 15, 2018). "Hugh Skinner: 'I like playing people who are crap at things'". the Guardian. Retrieved October 24, 2018. ^ Leonard, Devin (March 7, 2013). "How Disney Bought Lucasfilm—and Its Plans for 'Star Wars'". Bloomberg Businessweek. Retrieved May 26, 2013. ^ "Star Wars Is Being Kick-Started with Dynamite". StarWars.com. January 25, 2013. Archived from the original on January 10, 2016. Retrieved January 4, 2014. ^ "Disney Plans Stand-Alone 'Star Wars' Films". CNBC. February 5, 2013. Retrieved May 26, 2013. ^ Fleming, Jr., Mike (June 20, 2014). "'Star Wars' Bombshell! 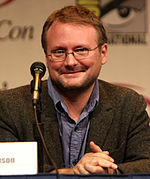 Rian Johnson To Write, Direct Next Two Films". Deadline Hollywood. Retrieved June 20, 2014. ^ Shaw, Lucas (June 20, 2014). "Rian Johnson to Write and Direct 'Star Wars' 8 – But Not 9". TheWrap. Retrieved June 20, 2014. ^ McMillan, Graeme (August 18, 2014). "Rian Johnson Says Next 'Star Wars' Will Have Less CGI, More Practical Effects". The Hollywood Reporter. Retrieved August 18, 2014. ^ Douglas, Edward (September 19, 2014). "Rian Johnson Talks about Taking on Star Wars Episode VIII". ComingSoon.net. Retrieved September 26, 2014. ^ Collin, Robbie (July 17, 2016). "Star Wars: Episode VIII will be classic war film like The Bridge on the River Kwai, director reveals". The Telegraph. Retrieved July 17, 2016. ^ Prudom, Laura (December 7, 2015). "Star Wars Actor John Boyega on Finn's Past: 'I've Got Some Conspiracy Theories'". Variety. Retrieved December 31, 2015. ^ a b "Star Wars: Episode VIII to Open December 15, 2017". StarWars.com. January 20, 2016. Retrieved January 20, 2016. ^ a b "The Official Title for Star Wars: Episode VIII Revealed". StarWars.com. January 23, 2017. Retrieved January 23, 2017. ^ a b McLevy, Alex (March 12, 2018). "Mark Hamill regrets ever making his debates with Rian Johnson about Luke Skywalker public". The A.V. Club. Retrieved October 18, 2018. ^ Sneider, Jeff (September 1, 2015). "'Star Wars: Episode VIII' Shortlist Includes Gina Rodriguez, Tatiana Maslany, Olivia Cooke (Exclusive)". The Wrap. Retrieved September 2, 2015. ^ a b White, James (September 7, 2015). "Benicio Del Toro Confirms Casting in Star Wars: Episode VIII". Empire. Retrieved September 9, 2015. ^ Goldberg, Matt (October 7, 2015). "Exclusive: 'Star Wars: Episode VIII' Casts Gugu Mbatha-Raw". Collider. Retrieved October 9, 2015. ^ Breznican, Anthony (September 9, 2015). "Updated: Star Wars: Episode VIII will shoot in Ireland this month". Entertainment Weekly. Retrieved September 9, 2015. ^ Clifford, Graham (September 6, 2015). "Skellig Michael: Is 6th-century rock star selling out to a galaxy far, far away?". Irish Independent. Retrieved September 9, 2015. ^ "Marine Notice No. 44 of 2015 – Filming Activity at Sceilig Mhichíl, Co. Kerry" (PDF). ddas.ie. Department of Transport, Tourism and Sport. September 11, 2015. Retrieved September 12, 2015. ^ Lucey, Anne; Pollak, Sorcha; Ruxton, Dean (September 14, 2015). "Skellig Michael 'Star Wars' filming cancelled amid high winds". The Irish Times. Retrieved September 15, 2015. ^ Alirjaafar (November 10, 2014). "'Star Wars' Returning To Pinewood For 'Episode VIII'". Deadline Hollywood. Retrieved November 17, 2014. ^ Chitwood, Adam (May 11, 2016). "'Assassin's Creed': 35 Things to Know about the Ambitious Video Game Adaptation". Collider.com. Retrieved July 5, 2016. ^ Caranicas, Peter (November 25, 2014). "Below the Line Bookings". Variety. Retrieved November 26, 2014. ^ Gallagher, Brian (January 18, 2016). "'Star Wars 8' Rewrites to Include More 'Force Awakens' Characters?". MovieWeb. Retrieved January 19, 2016. ^ Clark, Nick (January 28, 2016). "Star Wars: Episode VIII among films facing delays as lighting technicians threaten revolt". The Independent. Retrieved January 29, 2016. ^ Breznican, Anthony (February 10, 2016). "Star Wars: Episode VIII has started filming". Entertainment Weekly. Retrieved February 10, 2016. ^ "Star Wars Episode VIII Starts Shooting in Dubrovnik This Week". Croatia Week. March 8, 2016. Retrieved March 8, 2016. ^ Harris, David (March 26, 2016). "Star Wars: Episode VIII Filming Update: Luke in a Casino, Poe takes Charge". Dork Side of the Force. Archived from the original on April 5, 2016. Retrieved March 26, 2016. ^ Barrett, David (March 20, 2016). "Star Wars Episode VIII returns to new locations in Ireland". The Telegraph. Retrieved March 20, 2016. ^ "Star Wars: Malin Head locals feel the force of legendary film". BBC News. May 13, 2016. Retrieved December 28, 2016. ^ Warner, Kara (January 6, 2018). "Star Wars: The Last Jedi: How Adam Driver Went the Distance for Daisy Ridley During Filming". People. Retrieved January 20, 2018. ^ Lopez, Kristen (December 15, 2017). "The Breathtaking Bolivian Salt Flats Play an Important Role in 'Star Wars: The Last Jedi'". Remezcla. Archived from the original on December 18, 2017. Retrieved December 18, 2017. ^ Romano, Nick (July 22, 2016). "Star Wars: Episode VIII director Rian Johnson announces end of production". Entertainment Weekly. Retrieved July 22, 2016. ^ Trumbore, Dave (September 11, 2016). "Lupita Nyong'o Hasn't Shot Her 'Star Wars: Episode 8' Role Despite Rian Johnson Wrapping Production". Collider. Archived from the original on September 12, 2016. Retrieved September 12, 2016. ^ Evry, Mark (February 22, 2017). "Star Wars: The Last Jedi Scene Shot in IMAX, Plus MORE Disney IMAX Releases". ComingSoon.net. Retrieved August 22, 2017. ^ Riefe, Jordan (December 13, 2017). "Original 'Star Wars: The Last Jedi' Script Called for a 'Ridiculous Amount of Sets'". The Hollywood Reporter. ^ Sciretta, Peter (December 15, 2017). "'Star Wars: The Last Jedi' Has More Practical Creatures Than Any 'Star Wars' Film". /Film. Retrieved December 16, 2017. ^ McCluskey, Megan (December 15, 2017). "An All-Time Favorite Star Wars Character Makes an Epic Cameo in The Last Jedi". Time. Retrieved December 16, 2017. ^ Riesman, Abraham. "Did You Catch the Brazil Reference in The Last Jedi?". Vulture. Retrieved December 30, 2017. ^ Hewitt, Chris (July 27, 2013). "John Williams To Score Star Wars Episodes VII–IX". Empire. Retrieved March 21, 2016. ^ Dumaraog, Karissa (June 13, 2016). "'Star Wars: Episode 8' news: John Williams to score upcoming installment". Vine Report. Retrieved June 13, 2016. ^ McCormick, Rich (August 16, 2016). "John Williams confirms he's working on the score for Star Wars: Episode VIII". The Verge. Retrieved August 16, 2016. ^ Burlingame, Jon (December 1, 2016). "'Fantastic Beasts' and 'The BFG' Tap into Magical Musical Worlds". Variety. Retrieved December 1, 2016. ^ McClelland, Keenan (February 21, 2017). "John Williams Already Hard at Work Composing 'The Last Jedi'". Geek.com. Retrieved March 22, 2017. ^ Ross, William (June 19, 2017). "I found a #Jedi! Incredible opportunity to meet the 1andonly @HamillHimself. Such a talented and kind person! #StarWars #lukeskywalkerpic.twitter.com/CI38UogTXG". @williamross_mx. Retrieved December 30, 2017. ^ "Episode 69: Rian Johnson on the Music of Star Wars & Other Movies". audioBoom. Retrieved December 30, 2017. ^ Walden, Jennifer (February 26, 2018). "Ren Klyce: Mixing the score for 'Star Wars: The Last Jedi'". postPerspective. Retrieved April 13, 2018. ^ "Star Wars: The Last Jedi (2017)". IMDB. Retrieved December 30, 2017. ^ Records, Walt Disney. "Star Wars: The Last Jedi Original Motion Picture Soundtrack From Oscar®-Winning Composer John Williams Available Today, December 15". www.prnewswire.com. Retrieved December 30, 2017. ^ Lussier, Germain (January 29, 2015). "Disney CEO Confirms Release Years for 'Star Wars Episode VIII' and 'IX', Teases More Trilogies". /Film. Retrieved February 1, 2015. ^ Truitt, Brian (March 12, 2015). "Star Wars: Episode VIII coming in May 2017". USA Today. Retrieved March 14, 2015. Also, writer/director Rian Johnson's Star Wars: Episode VIII – to follow J.J. Abrams' Star Wars: The Force Awakens, out December 18 – is now scheduled to arrive on the big screen May 26, 2017. ^ Mendelson, Scott (March 12, 2015). "First Star Wars Stand-Alone, Rogue One, Will Have Female Lead in Felicity Jones". Forbes. Retrieved March 14, 2015. Star Wars: Episode VIII will indeed be directed by Rian Johnson (Looper) and will be released on May 26, 2017, or around the 40th anniversary of the original Star Wars. ^ McClintock, Pamela (January 20, 2016). "Star Wars: Episode VIII Gets New Release Date". The Hollywood Reporter. Retrieved January 20, 2016. ^ Couch, Aaron (January 24, 2017). "'Star Wars: The Last Jedi' Director Shares Look from Editing Bay". The Hollywood Reporter. Retrieved January 24, 2017. ^ Mendelson, Scott. "How 'Star Wars: The Last Jedi' Is Preventing An 'Age Of Ultron'-Style Box Office Backlash". Forbes. Retrieved December 6, 2017. ^ "Royal Albert Hall to roll out the red carpet for the European premiere of Star Wars: The Last Jedi". royalalberthall.com. November 21, 2017. Retrieved December 8, 2017. ^ Schwartzel, Erich (November 1, 2017). "Disney Lays Down the Law for Theaters on 'Star Wars: The Last Jedi'". Wall Street Journal. ISSN 0099-9660. Retrieved January 26, 2018. ^ Mattise, Nathan (November 1, 2017). "Disney makes a bigger ask of theaters than ever before with The Last Jedi". Ars Technica. Retrieved January 26, 2018. ^ Pearson, Ben (November 1, 2017). "Some Movie Theaters Refuse to Play Star Wars: The Last Jedi". Slashfilm. Retrieved October 3, 2018. ^ D'Alessandro, Anthony (November 2, 2017). "Disney's Lofty Exhibition Terms For 'The Last Jedi': It's Worth It, For The Popcorn Alone". Deadline Hollywood. Retrieved January 26, 2018. ^ Moran, Lee (September 5, 2017). "New 'Star Wars' Postage Stamps Are 'Bleep Bloop' Beautiful". HuffPost. Retrieved September 17, 2017. ^ "Sensational licensed stamp packs for September". Australia Post. September 7, 2017. Retrieved September 17, 2017. ^ Cacho, Gleson. "Here are the new video game updates for 'Star Wars: The Last Jedi'". The Mercury News. Retrieved February 10, 2018. ^ "Star Wars Battlefront II: The Last Jedi Season Schedule". Star Wars Battlefront II official website. Retrieved February 10, 2018. ^ "Star Wars: The Last Jedi Comes Home". StarWars.com. February 20, 2018. Retrieved February 20, 2018. ^ Tartaglione, Nancy (December 19, 2017). "'The Last Jedi' Skyrockets To $231M Overseas, $451M Global Bow; 'Coco' Tops $450M WW – International Box Office". Deadline Hollywood. Retrieved December 20, 2017. ^ McNary, Dave (December 17, 2017). "Box Office: 'Star Wars: The Last Jedi' Hits $230 Million at International Box Office". Variety. Retrieved December 20, 2017. ^ Hughes, Mark (December 12, 2017). "Review: 'Star Wars The Last Jedi' Is A Gloomier, Flawed, But Ultimately Successful Sequel". Forbes. Retrieved December 13, 2017. ^ McNary, Dave (December 31, 2017). "Box Office: 'Star Wars: The Last Jedi' Tops $1 Billion Worldwide". Variety. Retrieved March 5, 2018. ^ "The Last Jedi Passes the $1 Billion Mark, Jumanji in a Close Second". ComingSoon.net. December 31, 2017. Retrieved March 5, 2018. ^ "2017 Yearly Box Office Results". Box Office Mojo. March 5, 2018. Retrieved March 5, 2018. ^ "Star Wars Movies at the Box Office". Box Office Mojo. March 5, 2018. Retrieved March 5, 2018. ^ "All Time Domestic Box Office Results". Box Office Mojo. March 5, 2018. Retrieved March 5, 2018. ^ "All Time Worldwide Box Office Grosses". Box Office Mojo. March 5, 2018. Retrieved March 5, 2018. ^ "'Star Wars: The Last Jedi' Ticket Sales Crash Fandango". ComicBook.com. October 9, 2017. Retrieved October 9, 2017. ^ a b D'Alessandro, Anthony (November 22, 2017). "'Star Wars: The Last Jedi' Hits Tracking & A $200M Opening Would Come As No Surprise". Deadline Hollywood. Retrieved November 22, 2017. ^ D'Alessandro, Anthony (December 15, 2017). "'Star Wars: The Last Jedi' Thursday Night Previews Hit $45M". Deadline Hollywood. Retrieved December 15, 2017. ^ a b D'Alessandro, Anthony (December 17, 2017). "'The Last Jedi' Opening To $219M: How Disney Continues To Win With The 'Star Wars' Franchise". Deadline Hollywood. Retrieved December 17, 2017. ^ D'Alessandro, Anthony (December 18, 2017). "'The Last Jedi' Opens To $220M & Will Send 2017 To $11B: How Disney Still Wins With 'Star Wars' Franchise – Monday Final". Deadline Hollywood. Retrieved December 20, 2017. ^ D'Alessandro, Anthony (December 26, 2017). "'Last Jedi' Now At $99M, 'Jumanji' Huge At $72M+; 'All The Money in the World' Opens To $2.6M – Christmas Weekend". Deadline Hollywood. Retrieved December 27, 2017. ^ "Top Grossing Movies in Their 2nd Weekend at the Box Office". Box Office Mojo. March 9, 2018. Retrieved March 9, 2018. ^ "Single Day Records: High Grossing Movies on Christmas Day". Box Office Mojo. Retrieved December 27, 2017. ^ D'Alessandro, Anthony (December 31, 2017). "'Last Jedi', 'Jumanji' Propelling 2017 Box Office To $11B+ Year – AM Update". Deadline Hollywood. Retrieved December 31, 2017. ^ "Top Grossing Movies in Their 3rd Weekend at the Box Office". Box Office Mojo. March 9, 2018. Retrieved March 9, 2018. ^ "Single Day Records: High Grossing Movies on New Year's Day". Box Office Mojo. March 9, 2018. Retrieved March 9, 2018. ^ "Weekend Box Office Results for December 29 – January 1, 2018". Box Office Mojo. March 9, 2018. Retrieved March 9, 2018. ^ D'Alessandro, Anthony (January 7, 2018). "'Jumanji' Goes Wild With $36M; 'Insidious' Rises To $29M+ – Sunday AM B.O. Update". Deadline Hollywood. Retrieved January 7, 2018. ^ Tartaglione, Nancy (December 15, 2017). "Star Wars: The Last Jedi' Awakens To Early $61M Overseas; $106M WW – International Box Office". Deadline Hollywood. Retrieved December 15, 2017. ^ "'Star Wars: The Last Jedi' Delivers Second Largest Opening Ever". Box Office Mojo. ^ Tartaglione, Nancy (December 26, 2017). "'The Last Jedi' Rises To $750M Global; 'Jumanji' Swings in With $50M Overseas Bow – International Box Office". Deadline Hollywood. Retrieved December 27, 2017. ^ Tartaglione, Nancy (January 21, 2018). "'Jumanji' At $768M WW Intensity & 4th #1 in a Row Overseas; 'Maze Runner: Death Cure' Debuts – International Box Office". Deadline Hollywood. Retrieved March 24, 2018. ^ McNary, Dave (January 7, 2018). "'Star Wars: The Last Jedi' Stumbles in China, Hits $1.2 Billion Worldwide". Variety.com. Retrieved January 15, 2018. ^ Lerner, Rebecca (January 7, 2018). "'Star Wars: The Last Jedi' Underperforms In China". Forbes.com. Retrieved January 15, 2018. ^ Zhang, Gaochao (January 9, 2018). "'Star Wars: The Last Jedi' falls short in China". Los Angeles Times. Retrieved January 15, 2018. ^ Cain, Rob (January 11, 2018). "7 Days into Its Release, Chinese Theaters Abandon 'The Last Jedi,' Dumping 92% Of Its Screenings". Forbes.com. Retrieved January 15, 2018. ^ Frater, Patrick (January 21, 2018). "China Box Office: Aamir Khan's 'Superstar' Wins Crowded Weekend". Variety. ^ a b "Star Wars: The Last Jedi (2017)". Rotten Tomatoes. Fandango Media. Retrieved April 16, 2019. ^ "Star Wars: Episode VIII - The Last Jedi Reviews". Metacritic. CBS Interactive. Retrieved January 10, 2018. ^ Seitz, Matt Zoller (December 15, 2017). "Star Wars: The Last Jedi Movie Review (2017)". RogerEbert.com. Ebert Digital LLC. Retrieved December 19, 2017. ^ Travers, Peter (December 12, 2017). "'Star Wars: The Last Jedi' Review: This Is the Epic You've Been Looking For". Rolling Stone. Retrieved December 15, 2017. ^ Roeper, Richard (December 12, 2017). "'Star Wars: The Last Jedi' stays true to joys of the franchise". Chicago Sun Times. Retrieved December 15, 2017. ^ McCarthy, Todd (December 12, 2017). "'Star Wars: The Last Jedi': Film Review". The Hollywood Reporter. Retrieved December 18, 2017. ^ Gompertz, Will (December 15, 2017). "Will Gompertz reviews Star Wars: The Last Jedi". BBC News. Retrieved December 20, 2017. ^ Kermode, Mark (December 17, 2017). "Star Wars: The Last Jedi review – may the eighth be with you". The Observer. ISSN 0029-7712. Retrieved December 20, 2017. ^ Leadbetter, Alex (December 19, 2017). "The Last Jedi's Snoke Reveal Is The Best Movie Twist in Years". Screenrant.com. Retrieved January 8, 2018. ^ Dumaraog, Ana (December 12, 2017). "George Lucas Says Star Wars: The Last Jedi Was 'Beautifully Made'". ScreenRant. Retrieved August 21, 2018. ^ Parker, Ryan (December 12, 2017). "George Lucas Thinks The Last Jedi Was 'Beautifully Made'". The Hollywood Reporter. Retrieved August 21, 2018. ^ Child, Ben (December 31, 2015). "Attack of the Moans: George Lucas Hits Out at 'Retro' Star Wars: The Force Awakens". The Guardian. Retrieved August 21, 2018. ^ Peterson, Jeff (January 7, 2016). "George Lucas Elaborates on His Reaction to The Force Awakens". Deseret News. Retrieved August 21, 2018. ^ Brody, Richard (December 12, 2017). "'Star Wars: The Last Jedi,' Reviewed". The New Yorker. Retrieved December 15, 2017. ^ Taylor, Kate (December 12, 2017). "Review: The Last Jedi is weighed down by too many new additions". The Globe and Mail. Retrieved December 15, 2017. ^ Gleiberman, Owen (December 17, 2017). "Four Reasons Why 'Star Wars: The Last Jedi' Isn't One for the Ages". Variety. ^ D'Alessandro, Anthony (December 17, 2017). "Did Audiences Enjoy 'Star Wars: The Last Jedi'? Deciphering Online User Reviews From Exit Polls". Deadline.com. Retrieved December 5, 2018. ^ a b "Social Media: 'Star Wars: The Last Jedi,' Breakout or Backlash?". Boxoffice. January 9, 2018. Retrieved April 23, 2019. ^ Jackson, Matthew (December 18, 2017). "Disney Weighs In On Divided Audience Response To Star Wars: The Last Jedi". Syfy Wire. Retrieved April 23, 2019. ^ Taylor, Chris (December 20, 2017). "'Last Jedi' gets thumbs up from 89% of viewers, says new poll". Mashable. Retrieved December 21, 2017. ^ D'Alessandro, Anthony (December 17, 2017). "Did Audiences Enjoy 'Star Wars: The Last Jedi'? Deciphering Online User Reviews From Exit Polls". Deadline Hollywood. Retrieved April 10, 2018. ^ "Read User Reviews and Submit your own for Star Wars: Episode VIII - The Last Jedi". Metacritic. CBS Interactive. Retrieved April 16, 2019. ^ a b c VanDerWerff, Todd (December 19, 2017). "The 'backlash' against Star Wars: The Last Jedi, explained". Vox. ^ Sharf, Zack (December 21, 2017). "The Alt-Right Claims Credit for 'Star Wars: The Last Jedi' Backlash". IndieWire. Retrieved January 7, 2018. ^ Bradley, Bill; Jacobs, Matthew. "Surprise, Surprise: The 'Alt-Right' Claims Credit For 'Last Jedi' Backlash". Huffingtonpost.ca. Retrieved January 7, 2018. ^ Wilkinson, Alissa (August 13, 2018). "CinemaScore, Rotten Tomatoes, and movie audience scores, explained". Vox. Retrieved December 7, 2018. But with Rotten Tomatoes, Metacritic, and IMDB scores, that's not necessarily the case. None of these sites require users to prove that they've seen the film. All a person has to do is register for an account on the site. ^ Rodriguez, Ashley (December 19, 2017). "A rabid Star Wars fan may have rigged the Rotten Tomatoes score for 'The Last Jedi'". Quartz. Retrieved January 9, 2018. ^ Booth, Kaitlyn (December 17, 2017). "Facebook User Claims to Have Manipulated the Rotten Tomatoes Audience Score for Star Wars: The Last Jedi". BleedingCool.com. Retrieved January 9, 2018. ^ Chapman, Tom (December 20, 2017). "Rotten Tomatoes Says Last Jedi User Score is Accurate". Screenrant.com. Retrieved January 7, 2018. ^ Robertson, Adi (March 7, 2019). "How movie sites are dealing with review-bombing trolls". The Verge. Retrieved March 8, 2019. VanDerWerff, Todd (December 19, 2017). "The 'backlash' against Star Wars: The Last Jedi, explained". Vox. Youngs, Ian (December 20, 2017). "Star Wars: The Last Jedi – the most divisive film ever?". BBC News. Retrieved December 21, 2017. Matyszczyk, Chris. "'Star Wars: The Last Jedi' positive vibes slipping online". CNET. Retrieved January 15, 2018. "Star Wars fan behind anti-Last Jedi petition denies he was 'bought off' by Disney to back down". The Daily Telegraph. Retrieved January 15, 2018. Schmidt, Joseph. "Rian Johnson addresses The Last Jedi backlash, says necessary for Star Wars to 'grow'". Entertainment Weekly. Retrieved January 15, 2018. ^ a b c d Youngs, Ian (December 20, 2017). "Star Wars: The Last Jedi – the most divisive film ever?". BBC News. Retrieved December 21, 2017. ^ Cavna, Michael (December 18, 2017). "How 'The Last Jedi' became the most divisive Star Wars movie yet". The Washington Post. Retrieved January 15, 2018. ^ a b c d e Goodmand, Stephanie (December 18, 2017). "'The Last Jedi' and You: What Fans Think of the Newest Chapter". The New York Times. Retrieved December 21, 2017. ^ Dyce, Andrew (December 16, 2017). "Star Wars: The Last Jedi's Biggest Disappointments". Screen Rant. Retrieved January 17, 2018. ^ Agar, Chris (December 15, 2017). "What Does The Last Jedi Reveal About Rey's Parents?". Screen Rant. Retrieved January 9, 2018. ^ Busch, Caitlin (May 25, 2017). "The 7 Most Popular Theories About Rey's Real Parents". Inverse.com. Retrieved January 18, 2018. ^ Yee, Yip Wai Yee (December 31, 2017). "The Last Jedi divides". The Straits Times. Retrieved January 17, 2018. ^ a b Collura, Scott (December 15, 2017). "Why Do Some Star Wars Fans Hate The Last Jedi?". IGN. Retrieved December 21, 2017. ^ Nordyke, Kimberly (May 3, 2018). "MTV Movie & TV Awards: 'Black Panther,' 'Stranger Things' Top Nominations". The Hollywood Reporter. Archived from the original on May 3, 2018. Retrieved May 3, 2018. ^ "The 90th Academy Awards". www.oscars.org. Retrieved January 23, 2018. ^ McNary, Dave. "'Star Wars: The Last Jedi,' 'Dunkirk,' 'Lady Bird' Nab Art Directors Guild Nominations". Variety. Retrieved January 4, 2018. ^ "Nominations List for the EE British Academy Film Awards in 2018 (Plain Text)". www.bafta.org. Retrieved January 16, 2018. ^ Ramos, Dino-Ray; Nduka, Amanda (February 20, 2018). "'I, Tonya', 'The Shape of Water' Top Costume Designers Guild Awards – Complete Winners List". Deadline Hollywood. Retrieved October 3, 2018. ^ Travis, Ben (March 18, 2018). "Star Wars: The Last Jedi Wins Big at Rakuten TV Empire Awards 2018". Empire. Retrieved March 20, 2018. ^ "Saturn Award Nominations". www.saturnawards.org. Retrieved March 16, 2018. ^ "Teen Choice Awards 2018: The winners list". www.cnn.com. Retrieved August 14, 2018. ^ "J.J. Abrams Shares Behind-the-Scenes Photo from the Star Wars: Episode IX Set". StarWars.com. August 1, 2018. Retrieved August 21, 2018. ^ "A Statement Regarding Star Wars: Episode IX". Starwars.com. September 5, 2017. Retrieved September 5, 2017. ^ Kroll, Justin (September 12, 2017). "J.J. Abrams to Replace Colin Trevorrow as Director of 'Star Wars: Episode IX'". Variety. Retrieved September 12, 2017. Wikimedia Commons has media related to Star Wars: The Last Jedi.